This level has medium difficulty. 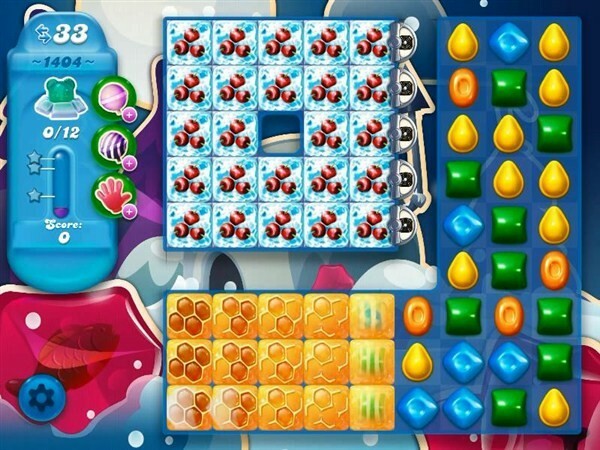 For this level try to play from right bottom part of the board to shuffle the candies and make special candy as you get the chance. Combine them with each other to break the snow blockers to find the bears. Let’s get real. The probability of getting 5+ candy bombs in 1 turn with no helps is unrealistic. How about some real help? Anyone can clear this screen with that many bombs, so this was useless.